Throughout the 19th century, right up to the invention of cinema, panoramic painting was a huge success. It played a role in cinema’s founding myth: restitution of reality in its most absolute form. Frontal representation is called into question, the spectator is immersed in the image. There is a focus on the language of film and the attraction of the spectacular in filmmaking. This story that spans two centuries invites us to reflect on these aspects. 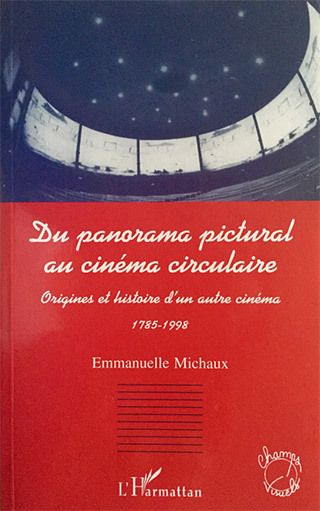 This book is part of Emmanuelle Michaux’s research work at Université de Paris VIII.